Welcome,… to the mountain national parks of Canada, a rugged wilderness of magnificent peaks, massive glaciers and broad sweeping valleys. 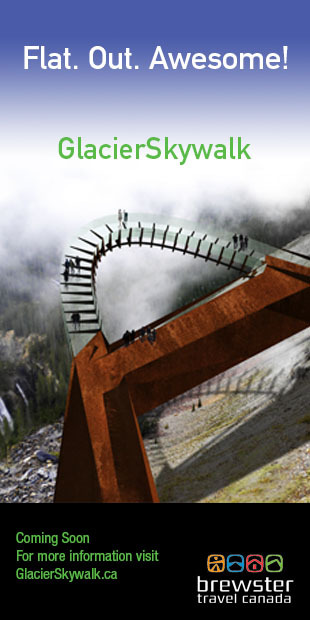 This is a special place, which represents the power of Canada’s landscape and the vitality of its culture. The mountain national parks are comprised of Banff, Glacier, Jasper, Kootenay, Mount Revelstoke, Waterton Lakes and Yoho. We at Parks Canada invite you to discover their unique nature. We also invite you to explore our cultural history at national historic sites such as the Banff Park Museum, the Bar U Ranch, the Cave and Basin, Fort St. James, the Jasper Information Centre, Rocky Mountain House and Roger’s Pass. After all that exploring, you will need time to soak and relax. Visit our three mountain hot springs in Radium, Miette or Banff. The idea of a Canada-wide system of protected areas took root in the Rockies when Banff National Park was established more than a century ago. Today this system of protected areas continues to expand as we strive to represent the natural regions of this country and commemorate the people, places and events that define Canada. The Canadian Rockies are blessed with two UNESCO World Heritage Sites. Banff, Jasper, Kootenay and Yoho national parks together with Hamber, Mount Assiniboine and Mount Robson provincial parks constitute the Canadian Rocky Mountain Parks World Heritage Site – one of the largest protected areas in the world. Waterton Lakes National Park and Glacier National Park, in the United States, comprise the Waterton Glacier International Peace Park. Parks Canada, in partnership with First Nations and Metis communities, the provinces of Alberta and British Columbia, local municipalities and the tourism industry, is committed to offering world-class heritage experiences and quality services. Your Parks Canada entry fee supports programs and services that help you travel safely and get the most out of your stay. This includes; the production of visitor guides, brochures, the maintenance of bridges, trails and picnic areas as well as search and rescue operations. Parks Canada is proud of its leadership role in preserving and presenting Canada’s natural and cultural heritage. You can do your part too – by respecting the land and celebrating our traditions. It is up to all of us to make sure our parks and our past will always have a future. Precious, unique and awe-inspiring, we at Parks Canada hope you enjoy an experience of a lifetime in Canada’s mountain national parks. Are you ready to embark on a new experience? 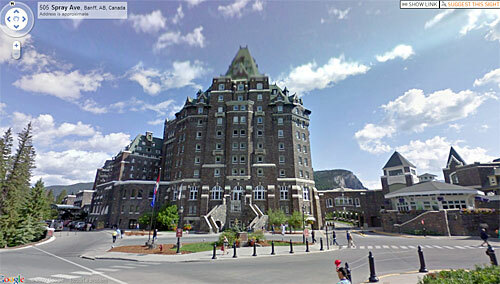 Discover or re-discover Lake Louise and Banff through a virtual tour. 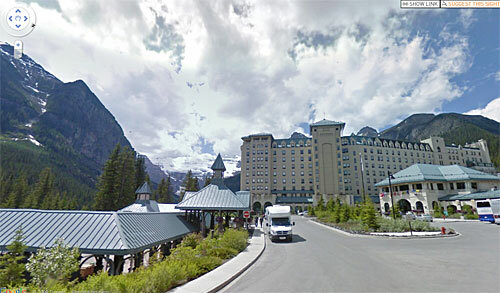 Here we go: Château Lake Louise and Banff Springs Hotel!